It’s been a long standing issue that Lancaster University, though outstanding for graduate employment generally, has not been able to assist students in their search for jobs in the fashion industry. In fact, my very own Academic Advisor once admitted that the University often seems to forget about industries such as fashion, sport and illustrating, due to the fact that these specific degrees are not currently on offer (but come on, ever heard of transferable skills?) ISSUE, Lancaster University’s own fashion society, decided to tackle this problem head on, partnering with Bright Futures to bring Lancaster University its very first Fashion Recruitment Fair and Runway Show on the 1st of May. SCAN spoke to co-Presidents Amy de Robillard and Juan Terpolilli earlier in the year and discussed their wish to fill the gap left by the University’s lack of fashion contacts. They decided the best way to do this was to bring the most desirable brands to campus to showcase the wealth of talent the University has to offer. 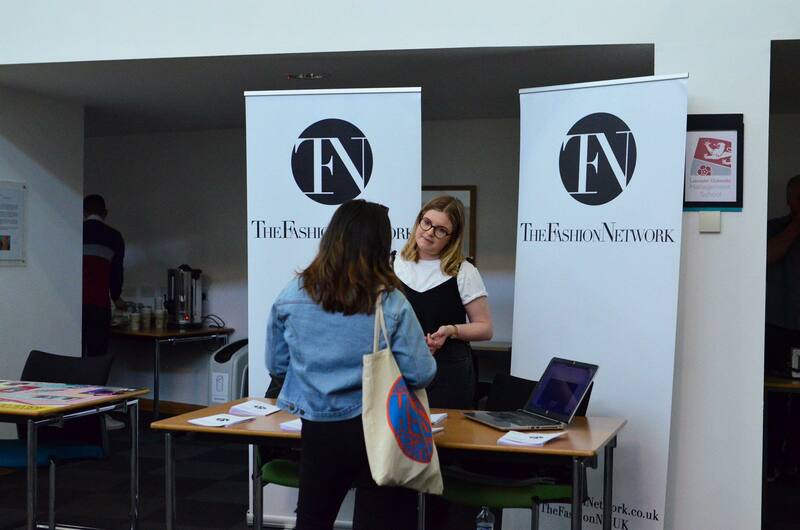 From Boohoo and Adidas to The Fashion Network, ISSUE offered students the opportunity to mingle with some of the fashion industry’s hottest names and make sought after contacts for graduate positions and internships. 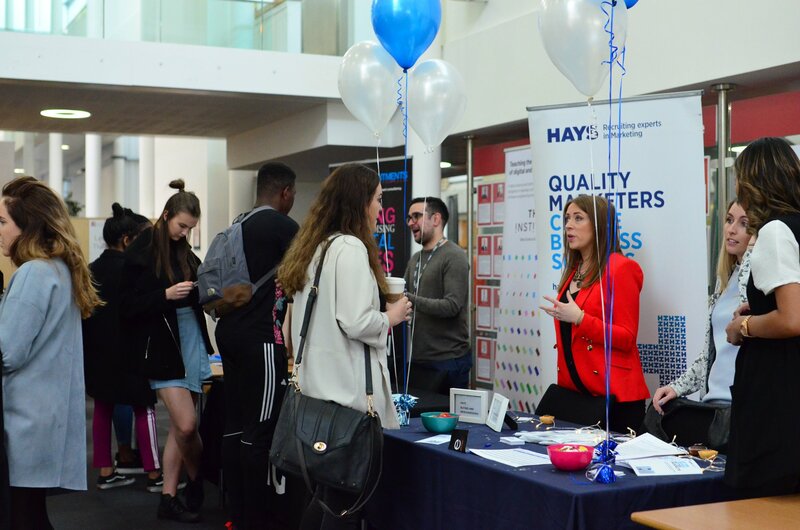 Using The Hub of the Management School as the setting, each brand had their own stall and specialist on hand to advise students on applications, current vacancies and future opportunities. 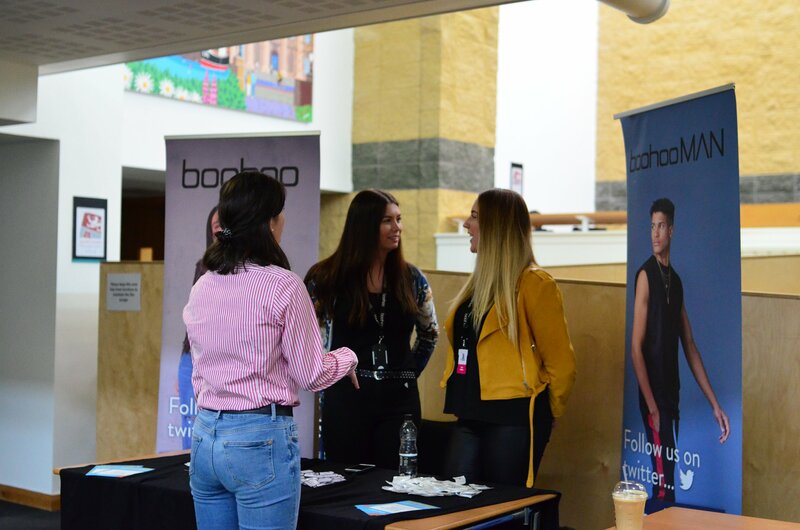 The likes of Boohoo and Hays Recruitment took CVs, allowing Lancaster students the chance to make their first move into the competitive fashion industry. The event culminated in a fashion show, displaying clothes from seven emerging brands, including Topshop favourite Native Youth, Manchester based Jutah Studios and ethical ladieswear brand, Beaumont Organic. Lucky attendees could take home a goodie-bag filled with exclusive products from each of the brands. The recruiters at Boohoo explained that, in an increasingly competitive market, graduates need to try harder than ever stand out. Foreign languages, computer literacy, a faultless writing style and a solid foundation of work experience were the most sought after skills listed by the brands, proving once again that a degree in fashion isn’t necessarily the best way to break into the industry. Highlighting these key transferrable skills on your CV and cover letter is a great way to stand out from the increasingly numerous crowd. SCAN spoke exclusively to event organiser and co-President of ISSUE, Amy de Robillard. With plans to run the event again next year, it’s clear that there is certainly an audience interested in entering the fashion industry at Lancaster University. Perhaps, after such glowing reports from students and brands alike, the University itself will start to put wheels in motion to help talented students network and apply to positions in fashion. If not, at least ISSUE is on hand to put us in touch with the best in the business.